We propose a type system to ensure the property of noninterference in a system of concurrent programs, described in a standard imperative language extended with parallelism. Our proposal is in the line of some recent work by Irvine, Volpano and Smith. 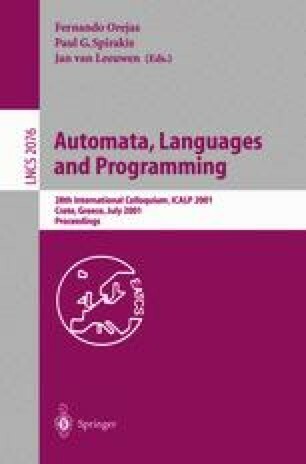 Our type system, as well as our semantics for concurrent programs, seem more natural and less restrictive than those originally presented by these authors. Moreover, we show how to adapt the type system in order to preserve the noninterference results in the presence of scheduling policies, while remaining in a nonprobabilistic setting. Research partially funded by the EU Working Group CONFER II and by the french RNRT Project MARVEL.